Florian Kamberi was ready to quit Hibs after enduring a furious rant from Neil Lennon. 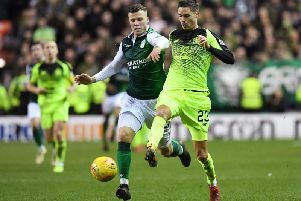 John McGinn’s failed move to Celtic is connected to the drama currently unfolding at Easter Road, it has been reported. Southampton are reportedly weighing up a bid for Rangers skipper James Tavernier. The Ibrox defender is high up on a shortlist of targets to replace Saints’ right-back Cedric Soares, who has agreed a switch to Inter Milan.